So, it's been over one and half months since the public beta release of From Earth and there has been an update almost every week. Things haven't been progressing as fast as I hoped. Currently the active team members is pretty just myself, and even I have started to work on the prototype for my next project. Still, I will keep updating From Earth, trying to get it to be the game I wanted it to be. Help spread awareness about the project. We haven't had a lot of coverage about the project and we could use a lot more playtesters. Leave feedback, comments, questions on the Steam forums. If you are interested in translating From Earth to a different language see this news post. We had several people interested in translating FE at the beginning, but none of them ever sent me any work. It's okay if you only want to translate the UI, for example. Translating the UI alone is a lot of work and the closed captions are no small task. Getting translations into the game would really help though and any help would be appreciated. Play through the game using the combat system and give us feedback. We still have some placeholder models and some models that need a lot more work. We still have no concept art for Frank nor character model for him (we use Doctor Breen's model from HL2). The uniform models for Zenaida and Anthony looked so awful that I switched them to use the jumpsuits instead in the intro sequence. There's a lot of places in the game that could lose improvement as they look very empty or unfinished. A lot of the music is still unfinished. We don't even have propery ending credits music. A lot of the gameplay tweaking has been focused on the first part of the game. We have fixed a lot of those problems, but haven't had a lot of feedback since. We still need to make the experience a lot smoother and identify the parts of the game that make players quit. If you look at the completion percentages of the game, currently only 5.2% of players finished Chapter 1, only 3.5% of players finished Chapter 2, and 3.0% finished Chapter 3. All in all this is pretty awful situation and shows that there is still a lot of work to do even in Chapter 1. People have reported about problems in the latter part of Chapter 1, and I did some tweaks to the hospital map, but I haven't had almost any info about if those tweaks worked or if people are still having problems. I am not sure if the player stats are working correctly, but if they are there are total of 11 people who have finished the game as Pacifist, 13 people who have finished the game only using self-defense / as a Fighter, and 5 people who have finished the game as Outsider. Considering that some of those are from the development team, those are not very good numbers at all. It also shows that the combat system is really under used. Even with all the negative feedback that we have had about the language system, people still prefer trying to communicate with the aliens rather than fighting them. Of course, it makes me happy that people are interested in the language system, but it also shows that we should have probably left the combat system out completely. It was something I considered a lot during the development, but I never actually went with it. It would have been a lot of work to remove it, too. I am not even sure if we could do it at this point, and it wouldn't even help as we have already spent all this time working on it. If I was to redo FE completely I would probably leave it out. But what is done is done. I still enjoy it myself, I had fun designing it, animating it, and testing it. Today's update is small one. The only change is to increase the damage the player attacks do, making the fighting a little bit less tedious. Finishing From Earth might still take a while, but I even beyond just fixing the gameplay problems the game has and improving the visuals, there's still a bunch of things I want to try out. 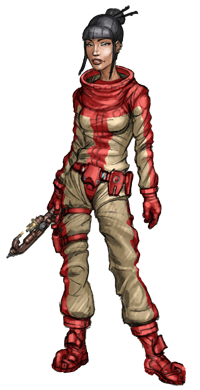 One of the things that I have wanted to try to do is have Kra as a playable character. The current system allows for the Level Designers to chose what model the player character has, and also define what character they are. As I didn't want to make Anthony into a playable character, I really wanted to try do it with Kra instead. The only problem is the vast amount of different animations that a working player character needs. The aliens do have a lot of the item using animations already, but not nearly all of them that they need. There's also all of the fighting and climbing animations. I am not yet sure if and when I will go through making Kra playable (though I did start working on it). There is still so much to do just to finish the main game and adding a side story is not something I should think too much about right now. We will see how things will go. As always, leave feedback, comments, suggestions at the Steam forums.